Roger Ailes ouster won’t change Fox News. Fox is a brand, and that brand will outlast the man most responsible for its creation. After weeks of turmoil and days of speculation, Roger Ailes, the larger-than-life, and gross-as-reputation network chief, is officially out at Fox News. Ailes was brought down by numerous accusations of workplace sexual harassment, which have trickled out over the past several weeks. With Rupert Murdoch at least temporarily filling in to run the channel he owns, the question is how Fox News will change without the man who made it into the most powerful and influential cable network on television. The answer is that it probably won’t. On the eve of the boss being fired, and with several of its on-air talent embroiled in the Ailes investigation, Wednesday night’s convention coverage was just what you might expect: a mix of skillful propaganda and conservative talking points. Bill O’Reilly and Geraldo Rivera discussed the flag-burning hippie scum gallivanting around the streets of Cleveland; Megyn Kelly gave fawning interviews to two of Trump’s most wacko supporters, Kristina Pierson and Ben Carson. (After Carson claimed that he only ran for president because of an “outcry” for him to do so from the American people, Kelly chimed in, “They were demanding you do it.”) There was even a brief video segment/tribute to Ronald Reagan, proving that the network will continue to idolize the man who best represents the pre-Trump era of the GOP. If that’s having it both ways, well, that’s Fox for you. Wednesday night was, in short, further proof of the sturdiness of the house that Ailes built. As long as Fox can hold onto the talent it has acquired, the channel simply may not need him at the helm anymore. Fox is a brand, and that brand will outlast the man most responsible for its creation. The first thing to remember about Roger Ailes’ control of Fox News is that it was both suffocating and laissez-faire. Ailes hired a bunch of talented media personalities, among them Kelly, O’Reilly, and Sean Hannity, and allowed them all to develop their distinct voices and styles. In the process, each has become a huge star, with formidable ratings and followings. And yet within this atmosphere—which does allow for individual talent to shine through—Ailes exerted his control. Gabriel Sherman, who wrote a biography of Ailes in 2014, detailed the degree to which the channel often directed a daily message, and made sure to hit certain themes. These were often partisan and frequently bigoted: sometimes GOP propaganda (Fox’s stance on immigration reform has fluctuated with the times); sometimes blatant fearmongering. But the channel almost always made its message clear, and disseminated it with the utmost skill. The most telling, classically Fox moment of Wednesday night occurred during the most electrifying minutes of the convention thus far: when Ted Cruz declined to endorse Donald Trump while Trump himself walked into the arena, and much of the crowd booed the Texas senator. When Cruz was finished, Fox didn’t cut back to analysis. While the other major news networks went straight to their giddy panelists, Fox showed several minutes of a Trump family video that was airing in the auditorium in Cleveland. Trump himself had been somewhat fanatically tweeting and talking about Republican unity. And here was the network doing its best to project that unity, even as the Republican Party was undergoing a moment of convention disunity of the sort that has rarely been seen. Ailes wasn’t there, but everyone knew what to do. 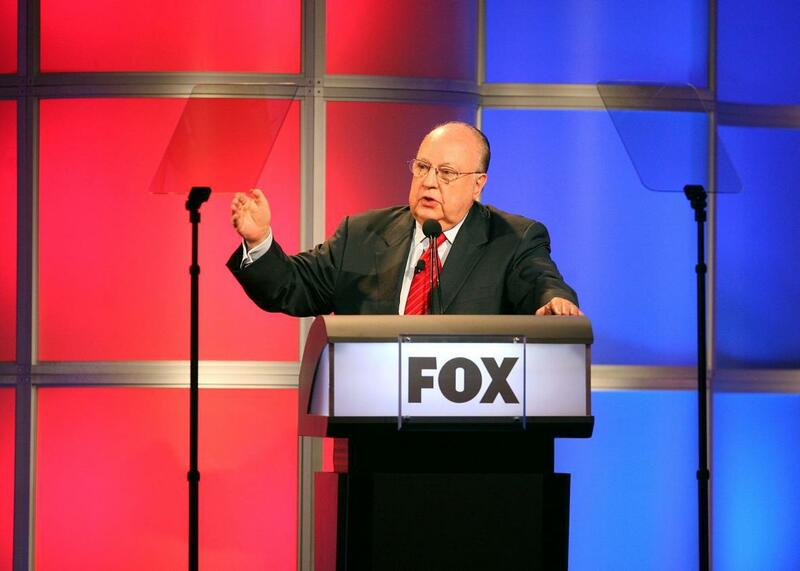 Roger Ailes is a television genius who created a brilliantly partisan—and disturbingly demagogic—news channel. The fact that it will likely thrive without him is almost as depressing as the fact that Ailes, thanks to a reportedly $40 million severance package, is likely to walk away from his job even richer than he already is.